Aloe Vera is a cure to common hair problems and a natural hair conditioner. Aloe vera gel could be used to treat the bald areas of the scalp. Mix wheat germ oil, coconut milk and aloe vera and use as shampoo. Aloe Vera hair gels activate fresh growth, helps in growth of existing hair. 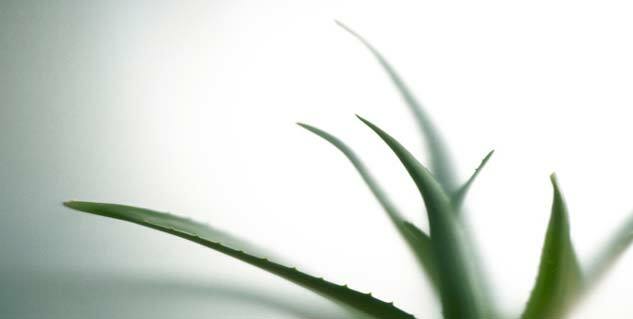 Aloe vera has been used by people of different cultures to stimulate hair growth. The extract of aloe vera contains medicinal properties that conditions hair to make it stronger and thicker. Aloe Vera is a cure to common hair problems and acts as a natural hair conditioner. It is also good for scaly/itchy scalps, oily hair and dandruff. Excessive secretion of sebum from the scalp can attract dirt and cause hair loss and partial baldness. Aloe Vera hair gels are specifically designed for treating chronic hair loss. Here we will discuss on why aloe vera is useful for your hair growth. Aloe vera gel could be used by you to treat the areas of the scalp where you are going bald. The enzyme contained helps to promote new hair growth for some people. You could apply this gel directly to the scalp as the use of aloe vera does not have any side effects. You could also use aloe vera lotion as a standalone product or by combining it with aloe vera gel. If you use it without a shampoo then it would work to revitalize the hair and the scalp in order to prevent hair loss and promote hair growth. Try making an aloe vera shampoo by combining wheat germ oil and coconut milk. This can promote hair growth and you could use this shampoo as often as you wash your hair. You must combine above mentioned therapies for your hair with low fat and low protein diet. Any diet high in fat and animal protein could cause a number of medical reactions that may lead to hair loss. Aloe Vera is found naturally and has more benefits than you can fathom. To quote a book written by Alasdair Barcroft and Audun Myskja titled, Aloe Vera: Nature’s Silent Healer where studies were conducted to see the benefits of aloe vera on all aspects, “Within one month, two of the patients (out of three on whom the study was conducted) experienced new hair growth in bald areas and those with seborrhea also improved. This study shows ample example of aloe vera being a natural remedy that stimulates hair growth. They curb excessive hair loss by reducing the excretion of sebum and keeping the scalp healthy. Aloe Vera hair gels activate fresh growth and stimulate the growth of existing hair. They are especially effective if used at the first sign of excessive hair loss.